"Be smart, make the most of your money"
Get the highest-quality for the lowest possible price is often a hard thing to achieve: it requires hours (weeks?) in front of your computer looking for online retailers' best offers. 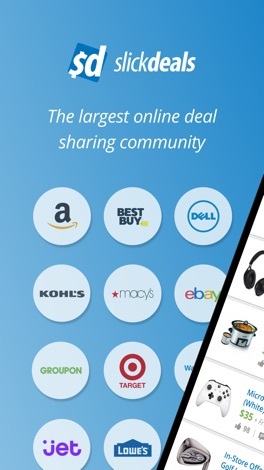 Slickdeals make it easy: users contribute with their discoveries to fill the site of great deals. 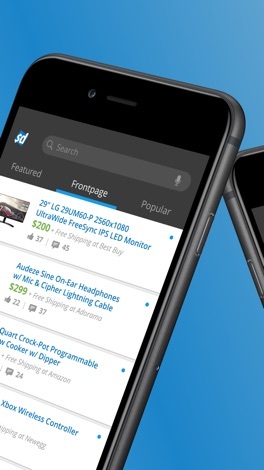 Slickdeals app lists them all and highlights those with better rating/comments. Actually, it features a side bar that provides a more intuitive navigation. From there you can apply filters such as featured, local and popular deals. In addition, you can get hot deals, freebies and deal talk from Slickdeals' forums. You can set alerts for some deals by name/keywords or target forum. 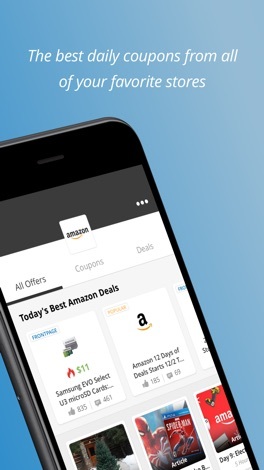 This way you won't miss a deal related to the product you are looking for. 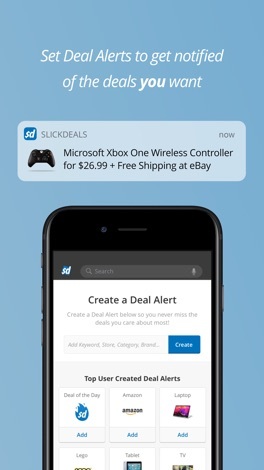 Slickdeals app is full-featured and set in a neat and polish interface. Its added-value feature is that it is a crowdsourced database of deals. You get great deals that have been found mostly by individuals. You can contribute to the community the same way. 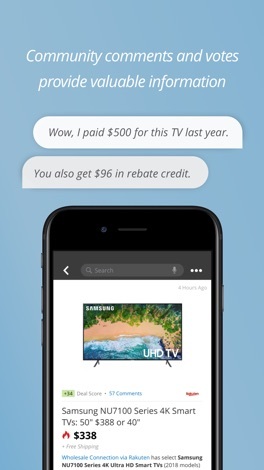 The main catch: Slickdeals is an only-US service. Have an issue with the app? Suggestions? Praises? Coupons? Send us an email iOS@slickdeals.net - Your feedback will help us make this the best deals app.